Officials: the subject smashed a glass bottle across the victim’s neck, causing a deep laceration. NCPD are investigating an assault that occurred in Farmingdale on Saturday, September 9th. Farmingdale, NY - September 13, 2017 - The Second Squad is investigating an assault that occurred in Farmingdale on Saturday, September 9th, 2017 at 1:48 a.m. According to detectives, Second Precinct Police Officers responded to Croxley’s Bar, located at 190 Main Street for a 25 year old male assaulted by an unknown male Hispanic. An investigation revealed that a verbal argument ensued that led to a physical confrontation. The victim did grab the male subject from behind, at which time the subject turned and smashed a glass bottle across the victim’s neck, causing a deep laceration. The subject then fled on foot in an unknown direction. 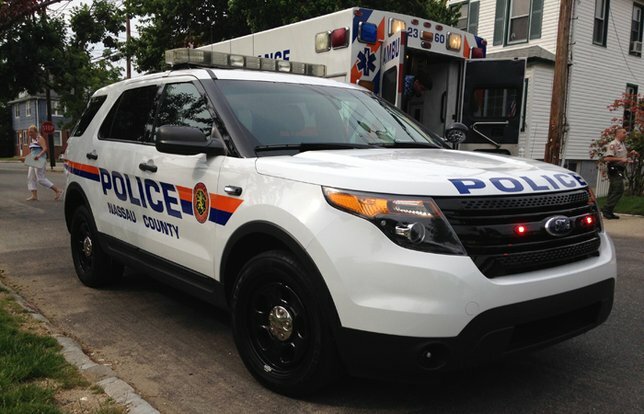 The victim was transported in a Nassau County Police Ambulance to a local hospital for treatment of his injuries. The victim is listed in stable condition. The subject is described as being a male Hispanic, approximately 5’8” tall with a medium build. There is no clothing description. Detectives request that anyone with information regarding the above crime can contact the Nassau County Crime Stoppers at 1-800-244-TIPS. All calls will remain anonymous. Subject: LongIsland.com - Your Name sent you Article details of "Police Conducting Search for Man Accused of Assault at Farmingdale Bar"